Yiannis is a professional and very kind host, who makes his guests really welcome in his hotel. The garden is beautiful, the rooms are comfortable. The place is pet friendly, which was very much appreciated by us, as we were travelling with a dog. The landlord was very cordial and welcoming. He helped with everything we asked. The place is very clean and comfortable. A small kitchenette so anyone who wants to prepare food for himself before departure can. Ideal place to rest. The host is an extremely friendly and hospitable person. The location is good, the rooms are clean, the beach is very nice, we are all happy with everything. There was also a very pleasant surprise from the owner when we left. Thanks for everything Yanis! Very nice place near a great beach. Smiling owners. Yanis is a really kind host! 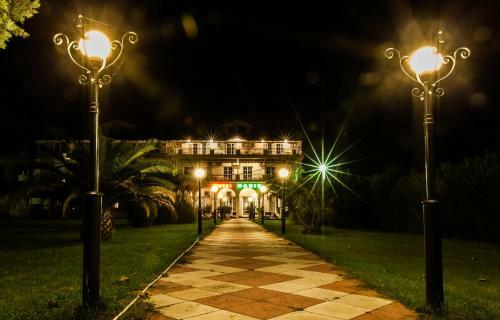 The room was comfortable and the location is perfect for relaxation - it is on a walking distance from the center, but in the quiet part of Paralia. 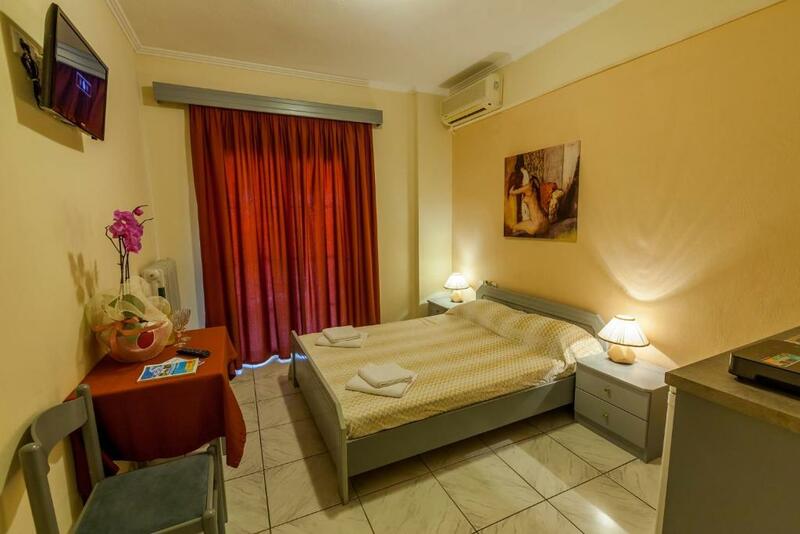 Nice room at a comfortable walking distance from the sea. The hotel is situated in a new and calmer part of the town a bit away from the center. Good for families. The host was very friendly and helpful. Worth considering for another visit. 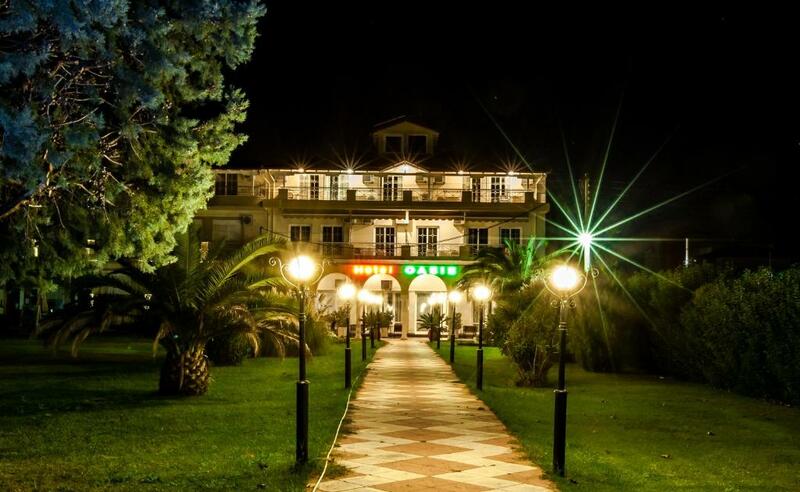 Nice and cosy little family hotel with helpful and friendly host and staff. There is excellent garden and barbecue zone and it is outside of the big fuss of the resort but still pretty close to the beach area which is sandy and shallow. Excellent for families with children looking for quite and relaxing time. This is an amazing place to rest . Its placed right next to the beach and it is a 1 minute walking distance. It is a pet friendly hotel which was exacly what we were looking for. We had a sea view room which was very peaceful for the morning. The host was very polite and nice. Quiet place at the edge of the turists crowd. Excelent location near the beautiful beach. Extremely pleasent host. 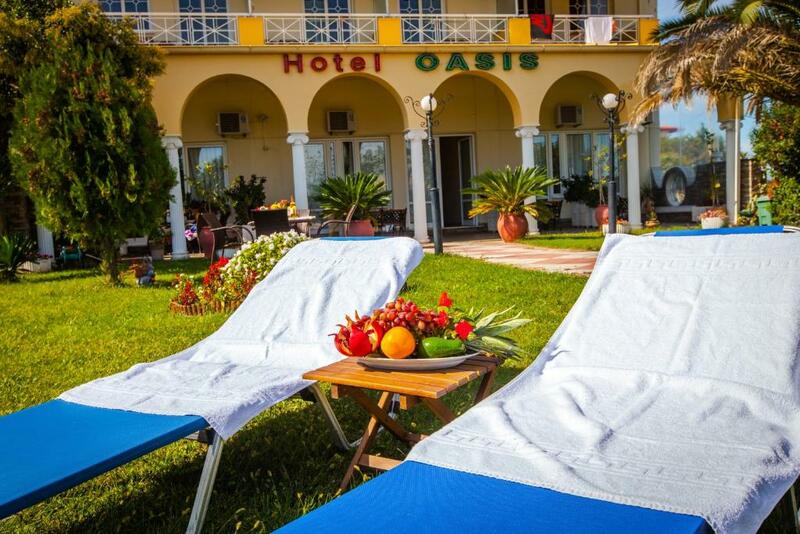 Lock in a great price for Oasis – rated 9.2 by recent guests! Oasis This rating is a reflection of how the property compares to the industry standard when it comes to price, facilities and services available. It's based on a self-evaluation by the property. Use this rating to help choose your stay! Surrounded by well-kept gardens, family-run Oasis offers air-conditioned studios with private balconies. The beach is only 650 feet away. BBQ facilities and an outdoor seating area are featured on site. 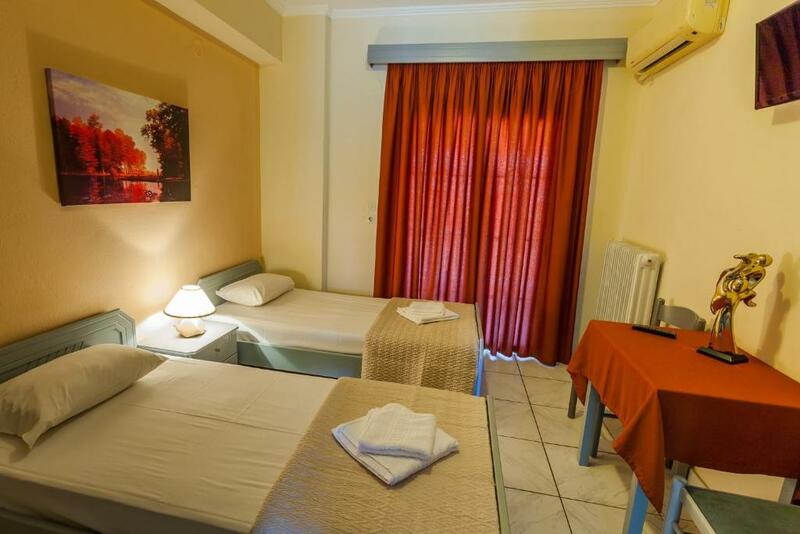 The fresh and bright rooms are fitted with tiled floors and modern furnishings. Each is equipped with a kitchenette with fridge, private bathroom and TV. 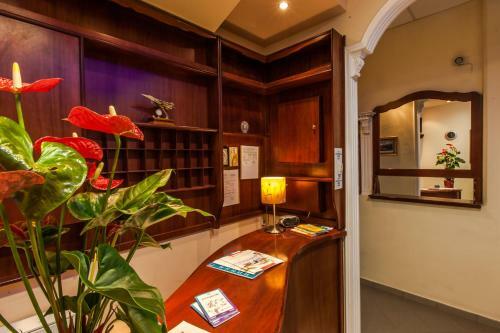 Free Wi-Fi internet access is available in the entire property, and guests also benefit from free private parking. Guests can find shops, bars and restaurants within 1,000 feet of the Oasis. 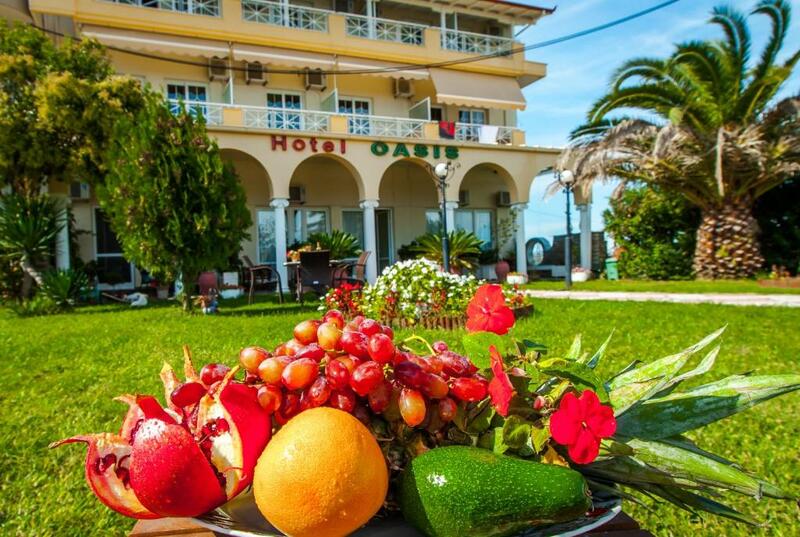 The lively town of Katerini is 5 mi away and offers many dining and shopping options. When would you like to stay at Oasis? Opening out to a balcony, this air-conditioned studio features a kitchenette with fridge and cooking hobs. Free Wi-Fi access is available. Opening out to a balcony, this air-conditioned studio features a kitchenette with fridge and cooking hobs. House Rules Oasis takes special requests – add in the next step! Oasis accepts these cards and reserves the right to temporarily hold an amount prior to arrival. The road to the beach on foot not very stilish. By car we drove a little further from the center and it was way better. Not a downside, but restaurants are a ~20 minute walk to the more built up section of town. Just for those without transport to be aware. Lovely beachside road to walk though. Jannis the owner was very personable and welcoming. The location was fantastic, with mini-mart nearby and a quieter section of beach just minute's walk away. Comfortable room with stunning views on the sea-ward side. amazing attitude of staff.. goodbye gifts were the best. The host very kindly, very good conditions, a good reason to come back for a excellent holiday. Everything was perfect - great place with great host, big and clean apartment, really close to the beach and the city center. We will definitely will stay there again.